- 大藥坊 is the Sales Presentation drama for 2014. 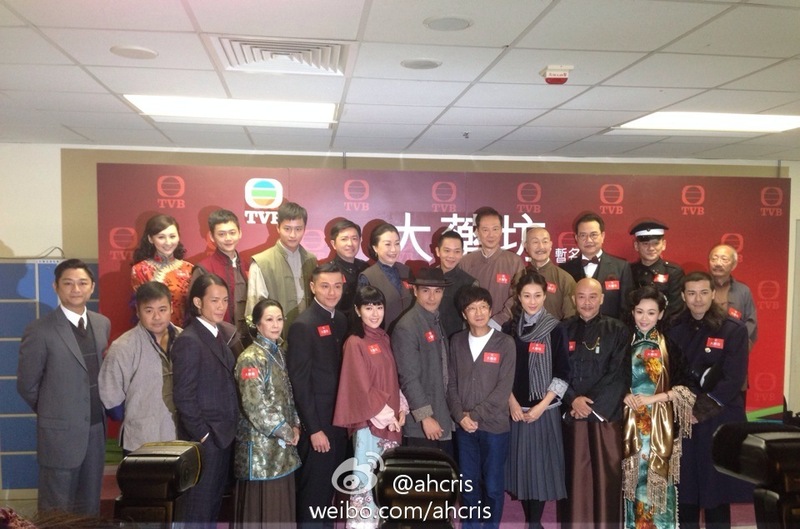 - Linda Chung, Ruco Chan, Natalie Tong, and Raymond Wong will have a love square. - The storyline is about Linda, who was originally a big pharmaceutical factory's rich girl, but the pharmaceutical factory had problems, causing her family to be in straitened circumstances, and there were also many epidemics that Linda helps resolve. In the past, females' status in society was very low, but Linda strongly faces it. - The storyline is about Linda Chung, who was originally a big pharmaceutical factory's rich girl, but the pharmaceutical factory had problems, causing her family to be in straitened circumstances, and there were also many epidemics that Linda helps resolve. In the past, females' status in society was very low, but Linda strongly faces it. - Linda will play To Kai Kei (杜佳期), a traditional Chinese medicine doctor. She is kindhearted and has perseverance and the spirit of not giving up. She will get caught in between Ruco Chan and Raymond Wong. 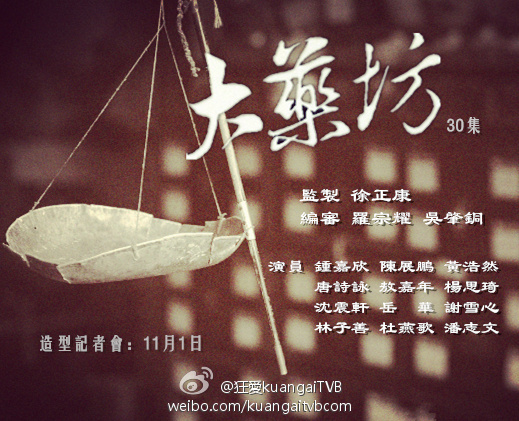 - Ruco will play Ting Yat Yuen (丁一元). He is both good and evil. He begins to have feelings for Linda at the end of the series. 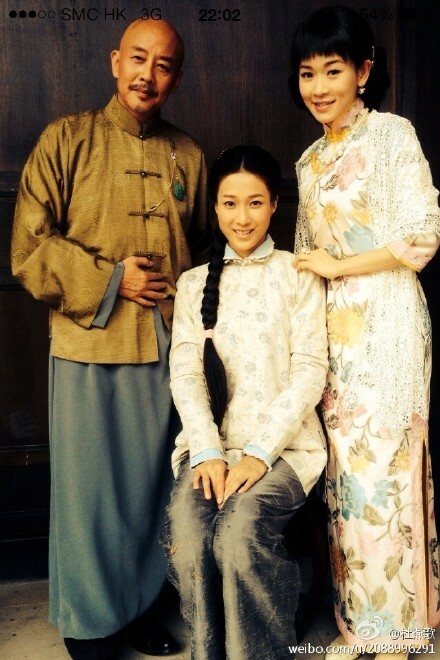 - Natalie Tong will play Hui Kwan Yeuk (許君約), a girl from a wealthy family. Her love story with Raymond begins in 1911. - There will be a love square among Linda, Ruco, Raymond, and Natalie. 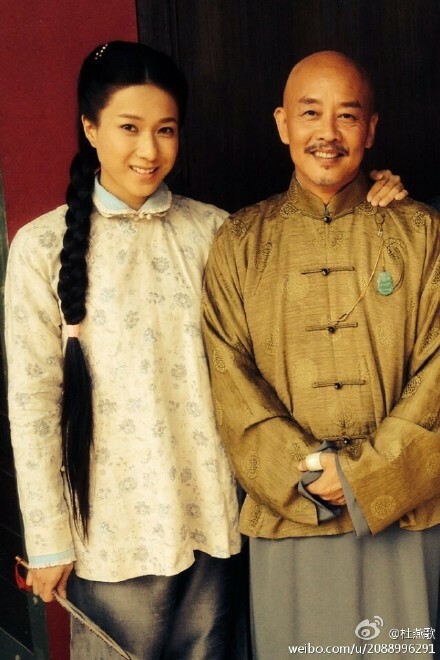 - Shirley Yeung will play To Yin Gor's second wife. She will have an affair with brother-in-law Ngo Ka Nin. 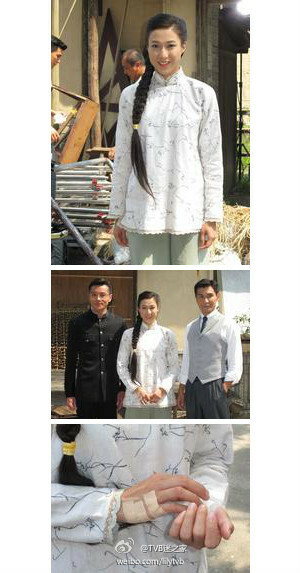 - Samantha Ko will play Pan Pan (翩翩). Edited by MintyLeaf, 23 June 2014 - 04:38 AM. Even though Linda and Ruco are on BK atm, I'm looking forward to see more of them in this! Linda's character sounds quite tough here which is goood! raymond & ruco are always in dramas together! Linda Chung was filming a Sales Presentation clip for the pre-modern series "Big Apothecary" with Ruco Chan, Raymond Wong, and Shirley Yeung. The series will begin filming in November. Although the genre is slightly similar to the Korean drama "Jewel in the Palace", this time's pre-modern background is very different. In the series, she becomes China's first female apothecary, and has a romantic storyline with Ruco and Raymond, making her greatly anticipating it. Her character is slightly similar to Dae Jang Geum. Linda said, "Perhaps. Want to become China's first female apothecary. I think that the series should be slightly labourious, especially remembering the Chinese medicine names, so will be going to my uncle, who is a Chinese doctor, to learn then". The other day, Linda got injured while filming "Tiger Cubs II". Her hands were full of bandages and had a little pain: "The doctor has given me sick leave, but have to film the Sales Presentation. Also have to go to the Light Switching Ceremony on Friday. Wouldn't feel comfortable being absent, so putting up with it. However, I have a little trauma toward these running while getting carried scenes!" Edited by fungyix3, 09 October 2013 - 05:14 AM. Even though Natalie is in the list for this series, but Natalie Tong is currently filming Time for Marriage which is not known when it will complete filming ... and I don't think she has even started filming yet as there's no pictures or scenes shot yet at the moment ... so if it delays which likely will, I wonder if she can join this series as stated above ... maybe there will be a replacement ... which will probably be Mandy Wong since Mandy stated recently that she will film a new series around late november. Edited by Moritaka Mashiro, 09 October 2013 - 05:38 AM. Moritaka Mashiro - It will be fresh to see Mandy working with Linda, Ruco and Raymond. But seeing how Mandy rarely films/or has never filmed/ any series from Tsang's side I think the chance of her being in Bobby and Joey's series (by Nelson Cheung) is bigger which also starts filming in November. I personally prefer her to be in this pre-modern series rather than the other modern one though. Edited by Transition, 09 October 2013 - 03:38 PM. That's true that Mandy doesn't film series for the Tang side but maybe there's a chance this will be the first since tvb is lacking actress with status right now as most of them has works to do. Quoted. Mandy will film a Tsang series but not this series. It's the series with Edwin Siu. a good stepping stone for her when Leung refuses to give her higher roles, they are such a tortoise when grooming people >_>. I read somewhere that they are under the same management. Pierre Ngo will join this series. 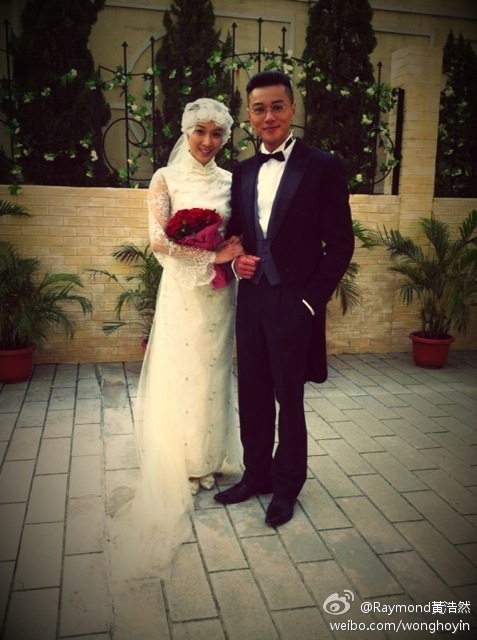 Linda Chung New Love Interest? "He Went Down to Pick Me Up"
Yesterday Linda Chung, Ruco Chan, Raymond Wong, Shirley Yeung and Natalie Tong attended the costume fitting of TVB new series The Great Pharmacist (tentative). After Brother's Keeper Linda and Ruco were rumored, and now that their portraying a couple again in this series, they appeared awkward. Linda explained: "Ruco and I chatted in the makeup room. (Has he started pursuing you?) You all ask him! After all, I hope we'll have a great collaboration." All along, Linda Chung had claimed "work is my priority", but last night [Good News] spotted Linda with a 6-feet tall gentleman entering a factory building. Yesterday at the costume fititng of her new series, she was asked whether this 6-feet gentleman is her new love interest? Linda didn't want to disclose who that gentleman was. She exclaimed: "I'm so scared! I'm scared of a ghost!" Reporters gave the [Good News] headline to her, Linda laughed: "How is he 6 feet?" She explained that gentleman is costume designer, that day they were going into the building for costume tryout, but she did notice there were reporters following them. She hoped to have some privacy as she gets into the car, so she asked the costume designer to pick her up. Ruco expressed he does not feel awkward seeing Linda. Asked if he's worried he won't be able to pull himself out of character? He said: "This is different from Brother's Keeper, my role's background is very realistic, so don't need to get so into character. (Are you pursuing Linda?) Nope! We've been filming together for several months and we know very well there's no romantic feelings." This time, Ruco and Linda are a couple again, but will be involved in a love square with Raymond Wong and Natalie Tong. Because the plot is refreshing, Ruco is not afraid the audience might get bored of watching him and Linda as a couple again. It was said Linda's role is a copy of popular Korean drama Jewels in the Palace? Linda said: "There is only a slight similarity in my role's personality, she's good-hearted, has perseverance and a never giving up spirit. My role is a Chinese pharmacist, the most challenging part is remembering all the Chinese medicine names." It was reported TVB intends to promote Linda to become their new music label "Star Dreams" Big Sister, but the only condition is to stop all the rumors. Linda said: "I didn't hear about that rumor. Its definitely made up. I've worked with Herman Ho for so long, he treats everyone equally. I believe he'll bring this spirit to TVB." Shirley had been frozen for 4 years. This time, she's finally unfrozen and participates in this series as a mistress. She said: "Its been 4 years since I've been in a series, I feel pleased and excited. I've always liked filming series." Asked if she'll have any bold scenes? Shirley said: "I'm not sure, but I'm not afraid of those scenes. If I'm afraid of everything, then there won't be anything to do. Also with the limitations on TV, nothing to worry about." Shirley disclosed her daughter doesn't have much hair, so she had a hairstylist shave all her daughter's hair off in hope she'll grow new hair. Asked whether Shirley is worried she won't have time to spend with her daughter? She said: "My mother is helping out, I'm not worried at all. I will balance my time." Personally looking forward to this series! Edited by tvbfan2012, 23 November 2013 - 07:57 AM. this is likely to be a anniversary series for next year judging from its dramatic trailer. 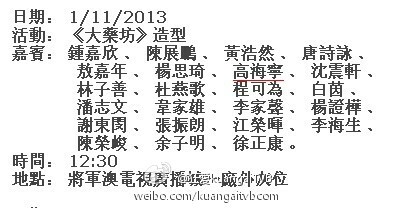 Edited by tvbfan2012, 01 December 2013 - 07:14 AM. NATALIE!!! gonna watch this without fail! her role seems rather distant from the trailer. Hope it will be a challenging role for Natalie so she can at least win something next year. Edited by tvbfan2012, 05 December 2013 - 03:47 PM.